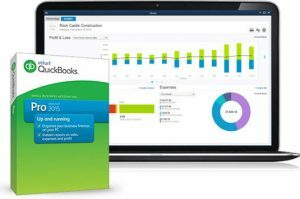 Is QuickBooks desktop compatible with Mac? QuickBooks Desktop for Mac is not available in South Africa, but don’t let this deter you from becoming part of the biggest accounting software family in the world. QuickBooks Online, which is compatible with all browsers, no matter your choice of PC or Mac, is the perfect solution to start your business, run your business and grow your business – exactly what every small business owner needs out of an accounting software partner. It is often the case that small business owners battle to keep on top of their financials as many are not necessarily accounting savvy. Being behind on accurately recording your profits, losses, creditors, debtors, salaries and other expenses is not the ideal situation and one which can quickly spiral out of control. Customers using QuickBooks Online have commented that they use to dread the accounting side of their business but can now get everything done quickly – within minutes, in fact – and spend time doing what they love. Organise your accounting and understand your cash flow by connecting your bank to automatically import and categorise transactions. 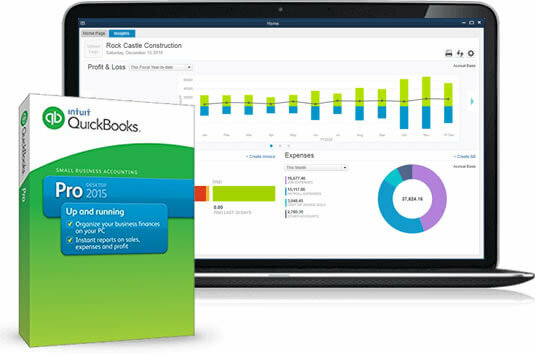 With this function of QuickBooks Online, you will always be on top of the financial health of your business. With the IOS app, you can even use QuickBooks when visiting customers and send a quote or invoice on the spot. We easily sync your data across all devices – computer, mobile or tablet – to help you manage your business wherever you are. Your accountant can also access your financials from anywhere, making it easier to work together. Tax compliance has never been easier. You can even photograph and save receipts with the QuickBooks Online mobile app. This gives you peace of mind that your submissions are accurate and a true reflection of the past financial year. Maintain a professional image with proper invoices, receipts and quotations. QuickBooks Online will automatically track inventory and what each item cost is, allowing you to always have the finger on the pulse when it comes to profitability. Cash flow is the lifeblood of a small business. With QuickBooks Online you can stay on top of debtors and when payments are due. You can also automate your spending by setting up recurring payments. You can connect your bank and credit card accounts for automatic downloads of payments. View reports, like profit and loss, your balance sheet and lots more with the click of a button. See all your important financial data the minute you sign in with a dashboard overview, from any mobile device or computer. The days of running your business off a spreadsheet are over. Also, with every version of QuickBooks Online coming standard with EasyBiz Perks you will always have the latest technology and help at your fingertips. Let EasyBiz Technologies show you how to get the most out of your QuickBooks Online software.